Well, unless you spent all of yesterday with your head in the same clouds that blocked my view (and it is half-term for many, so I don’t criticise a little R&R time), then you’ll almost certainly have seen the stunning image that my old colleague Joten Okamoto put together from the some of the Venus transit we got back from Hinode. For those of you that hadn’t seen it, here you go! Full disclosure: I’m the Project Scientist of another of Hinode’s three telescopes, the EUV Imaging Spectrometer (EIS). So I’m biased in liking this a lot. But I defy anyone not to find it beautiful. 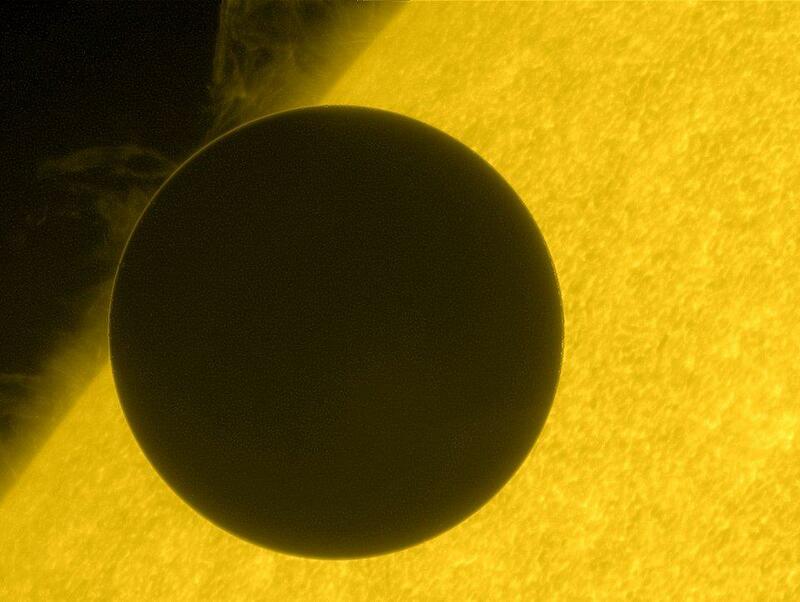 I also have a hunch that – as well as being the most iconic image of the Venus transit – this may end up being one of the most iconic images of the whole Hinode mission! Well done, universe and humans alike. Another win.